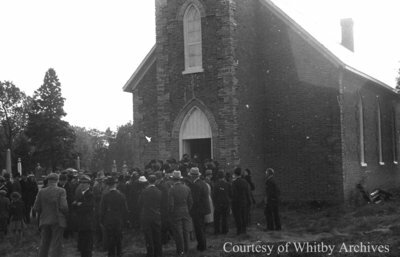 A black and white negative a crowd gathered out front of St. James Anglican Church. St. James Anglican Church and Cemetery, c.1939, Marjorie Ruddy. Whitby Archives A2013_040_691A.